A part of our new Functional Treat line, Beams™ support healthy teeth and gums. 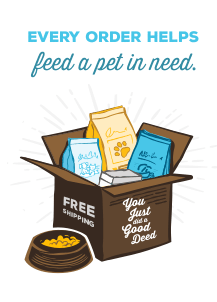 Beams dog treats are made with just one ingredient—pristine wild caught fish skins. These savory, chewy sticks are guaranteed to satisfy the pickiest of pups. The act of gnawing on these longer lasting chews can help maintain tip-top dental health too. A solid source of lean protein and Omega-3s, it's no wonder these are our best-selling treats! Now in new packaging!